Small disclaimer: The Lady Miz Diva is a soul fiend. 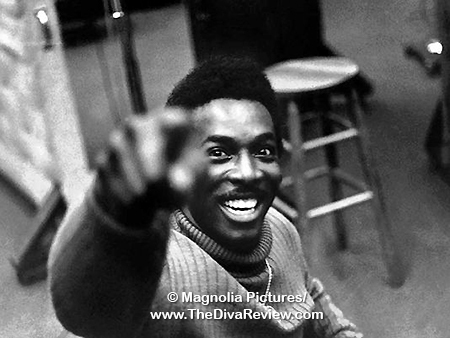 Anything having to do with soul music, particularly from the 1960s and 70s, Motown, Stax, Atlantic, Chess is audio manna for Our ever-luvvin ears. The prospect of a documentary about the mighty sound that issued forth from Muscle Shoals, Alabama could only meet with my favourable gaze. 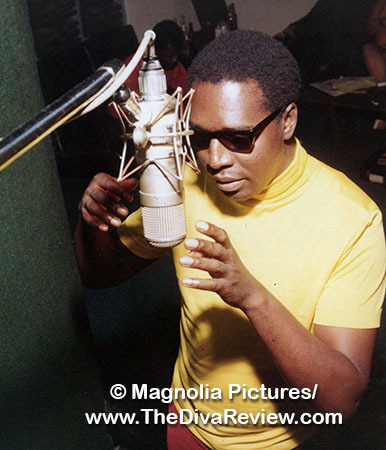 Muscle Shoals’ FAME Studios, the small recording space built circuit by circuit by its founder, Rick Hall, was the birthplace of signature songs by Otis Redding, Aretha Franklin, Percy Sledge, Etta James, Joe Tex, The Staple Singers, and so many others. The surprising thing about both Hall and his in-house session band of groovers was the fact that they were all white, creating emblematic tunes for future R&B legends. Their grasp of soulful harmonies, rhythm, structure and blockbuster collaborations with black artists defied racial boundaries and expectations at a time when the tensions that arose from the burgeoning Civil Rights Movement were at a peak. 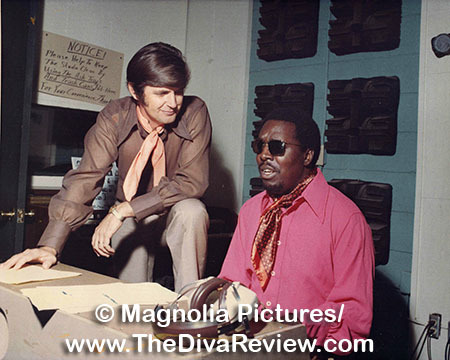 The story of Muscle Shoals begins with Rick Hall, a musician and songwriter who started his life in deep poverty as a child abandoned by his mother. 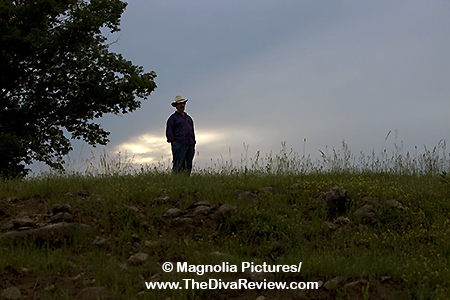 Hall’s determination to make something of himself isolates friends, but doesn’t stop him from creating a recording studio in the middle of nowhere in full view of a cotton field. His openness to welcome anyone who wanted to work brought him a gaggle of young session musicians that included drummer Roger Hawkins, guitarist Jimmy Johnson, bassist David Hood and organist Spooner Oldham, who would later become known as The Swampers. Hall also sought out talent wherever he found it and so discovered an African-American bellhop named Arthur Alexander, who would write and perform FAME Studios’ first hit, 1961’s “You Better Move On.” That song not only had an effect across the country, but resonated in places as far away as England, where blues-loving bands like the Rolling Stones would eventually record their version. From there, Hall would produce many new artists and soon the recordings’ tight, snap-beat syncopation and soulful arrangements would capture notable ears and bring increasingly well-known names to the swampy locale, seeking that signature sound. 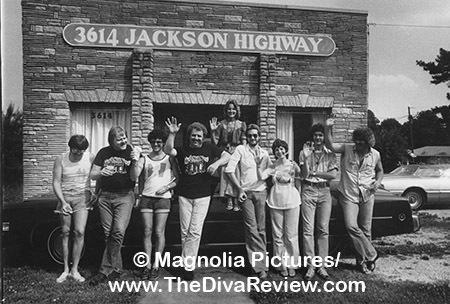 The unifying factor among the variety of visiting artists was their surprise that the Muscle Shoals’ session players were indeed Caucasian and their curiosity at the band’s innate funkiness. 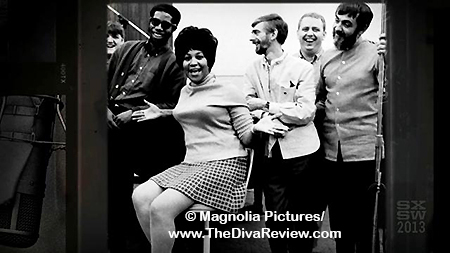 We relive the reinvention of Aretha Franklin from lushly-produced, torch singing flop, to wailing Queen of Soul as she’s regarded today with The Swampers’ gospel-tastic fleshing-in of Franklin’s bare bones composition, "I Never Loved a Man (The Way I Love You)." 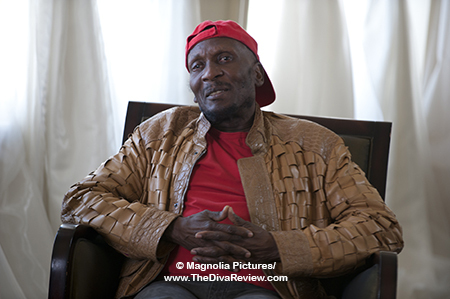 We have interviews with Rick Hall’s kindred spirit, the late R&B wild man, Wilson Pickett, who recorded his most famous songs, “Land of 100 Dances,” “In the Midnight Hour,” “Mustang Sally” and “Funky Broadway” at FAME. 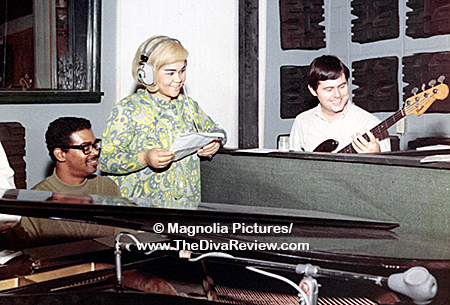 The tempestuous blues icon Etta James recorded her famous single “Tell Mama” at FAME, but not without a little pushback over the song’s content; a debate she conceded upon hearing the quality of the recording. 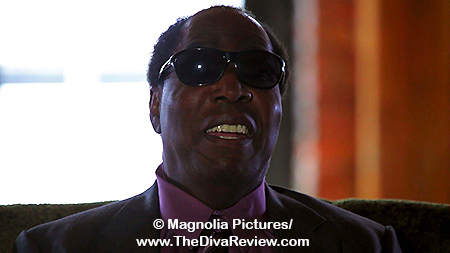 If the opening bars of singer/songwriter Clarence Carter’s 1970 hit “Patches” didn’t already sufficiently bring on the sniffles, to discover that Hall had actually written the song about his deceased father, who raised his children in a shack in the woods with a dirt floor and no plumbing, is enough to send a body into great, wracking sobs. 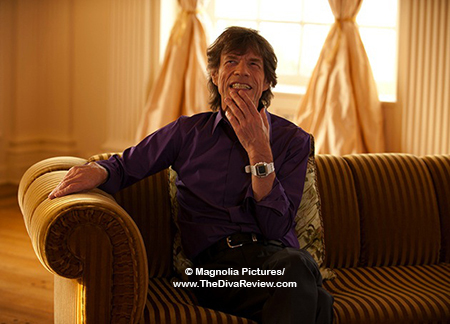 As interviews from U2’s Bono, reggae legend Jimmy Cliff and Rolling Stones Keith Richards and Mick Jagger attest, there was a magical mixture of talent, inspiration and exuberance that seemed to rise out of the mud of the Tennessee River to converge on this strange spot in the Deep South in this relatively short space of time to create something rare and unique. All this goodness should have made Muscle Shoals the perfect documentary about a more than worthy subject. 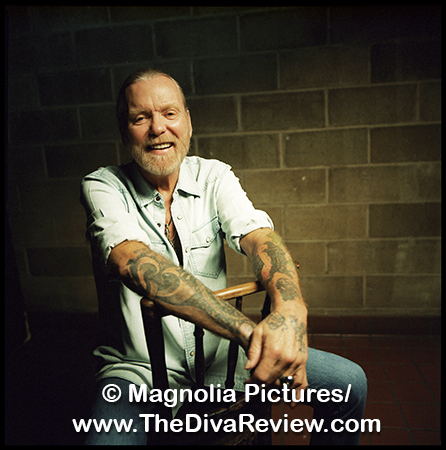 Alas, there is a thorn: Considering the Muscle Shoals’ musicians’ groundbreaking, if unintentional racially progressive statement, there are troubling moments when in the later part of the film, the Southern Rock band Lynyrd Skynyrd is featured, and featured, and featured. 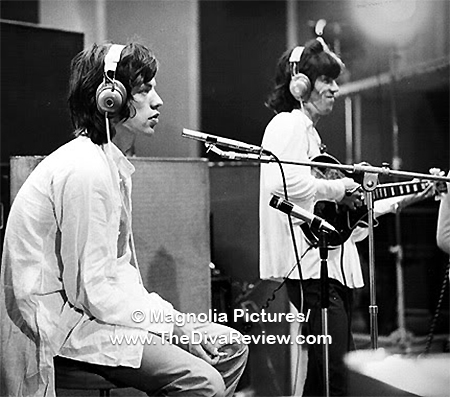 More time is spent on the group than is spent on any of the black acts, or even the Rolling Stones. 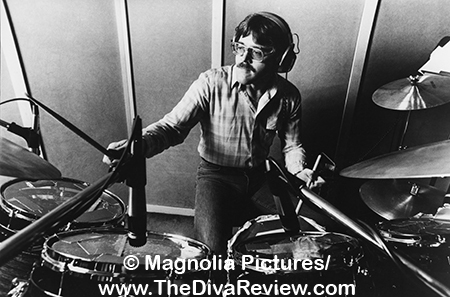 Guitarist Jimmy Johnson produced their early demos, but none of the other Swamper members, including Johnson, actually played on their hit, “Sweet Home Alabama,” which name-checks both Muscle Shoals and their legendary backup band. 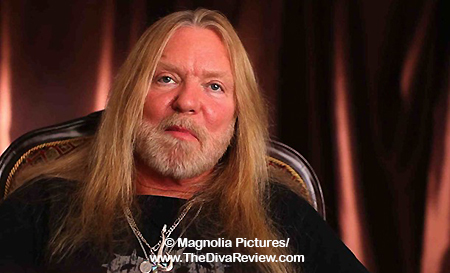 Director Greg 'Freddy' Camalier uses a lot of the band’s concert and TV footage, which features a giant Confederate flag, which served as Lynyrd Skynyrd’s dominant background visual. 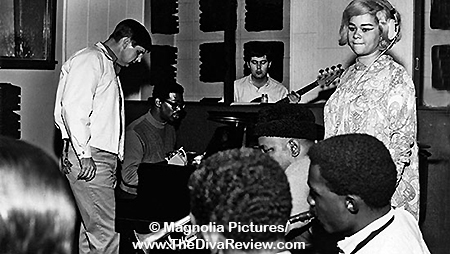 Early in the documentary, the Muscle Shoals session players relate how uncomfortable it was to eat at the segregated nearby diners with the black artists they played for, emphasising how very colour-blind recording in the studio was in comparison. 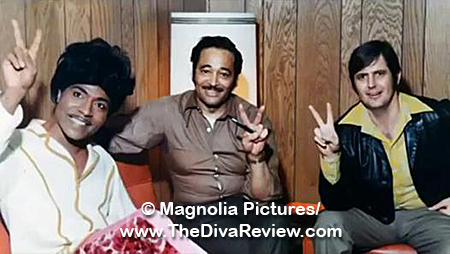 It was African-American artists that put the Muscle Shoals studios and its Caucasian musicians on the map. It was their sound that induced everyone from The Beatles to the Rolling Stones to cover black records made in Muscle Shoals. It would be the hit records created by the collaboration of the black artists and the white producers and session musicians together that would bring white groups to their door looking to duplicate that sound. 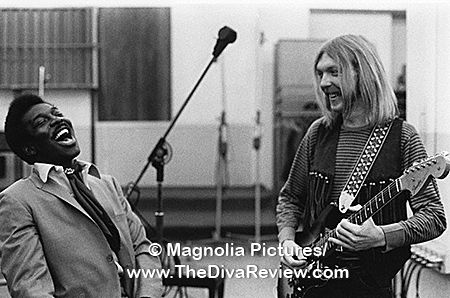 In the sequence immediately preceding, prior to his starting the multiracial Allman Brothers Band, we see the late Duane Allman’s productive time as FAME Studios’ session guitarist, which included becoming the impetus for Wilson Pickett’s hit cover of The Beatles’ “Hey Jude.” The lengthy view of Lynyrd Skynyrd’s Confederate flag, a symbol of racial hatred and inequality so proudly emblazoned by a group that was fostered by Johnson, who proudly played alongside some of the biggest black acts in history, jarringly undoes the positivity established by the film up to that point. Another curiosity of the film is the reunion of Rick Hall with his former session men, The Swampers. In a sterling example of how shady the music business can be, a petty grudge between Hall and Jerry Wexler, the co-creator of soul empire Atlantic Records, was carried to the degree where Wexler set up a recording studio of his own across town and stole The Swampers right out from under Hall. The fact that The Swampers did not tell Hall, the one person to whom they owed their professional success, until right before he was to sign a huge contract which included the musicians, is even uglier a betrayal. In one moment, Hall shares his justifiable resentment at both Wexler and his former protégés, but shortly afterward is seen walking amiably into the studio with the men, claiming that over the passage of time, he was able to forgive them. 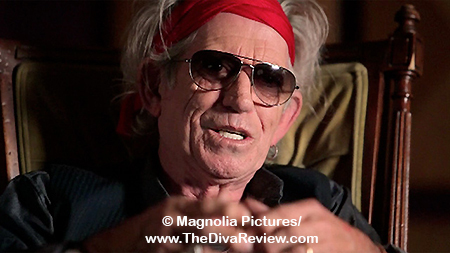 Considering that at the film’s start, one of rock’s fiercest creatures, Rolling Stone Keith Richards calls Hall “a wild man,” it feels too convenient for this person of the tremendous strength and passion we’ve seen for the past ninety minutes to have simply shrugged his shoulders about an act of treachery that could’ve cost him everything he’d worked for. While gorgeously photographed and lovingly researched, the tempo of the film is uneven, with the riveting early days of the studios passing by in a fun, exuberant blur, while the relatively dull, later post-fame history is drawn out. Another moment that makes the choice of spotlights and their duration more curious is that the late, great Otis Redding, who recorded his own material and produced the classic, “Sweet Soul Music” for protégé Arthur Conley at Muscle Shoals, is literally resigned to being an Easter Egg: Redding is only shown on some silent home movie footage of Hall’s fully after the end credits, which are run under the entirety of “Sweet Home Alabama.” Twenty minutes on Lynryd Skynyrd and ten seconds of Otis Redding? Inconceivable. 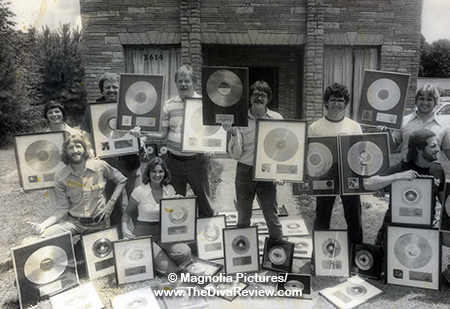 While the odd pacing and bizarre and awkward tone-deafness to some of those featured keeps the doc from perfection, Muscle Shoals has all the ingredients of a great exploration spanning many lines of interest. 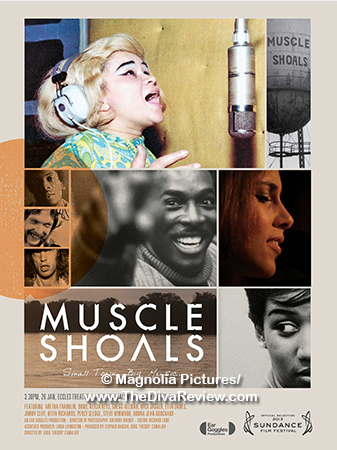 The establishment of a unique and authentically American sound that crossed racial boundaries, the human story of Rick Hall’s triumphs and tragedies and compelling insights by R&B and rock legends recognising what Muscle Shoals meant to the soundscape of modern music, make the film important viewing.